MICRO-BLOGGING IS LOVE! - I Blog, Therefore I Am. Since we have to downscale, minimize and micromize everything, I was not surprised when BLOGS were also simplified through micro-blogging. So what is exactly "micro-blogging"? According to Wikipedia, micro-blogging is a form of blogging that allow users to write brief text updates (usually less than 200 characters) and publish them, either to be viewed by anyone or by a restricted group which can be chosen by the user. In other words, it's "TWITTER and the others". Micro-blogging is probably one of the best things I like to do on-line. Twitter is usually one of the first websites I go to after log-in to feed and read updates. It's so fun to know "almost" on real-time what your friends and on-line buddies are up to. I update my micro-blogs religiously in lieu of real blog posts. My first micro-blogging account is on Twitter. Twitter is the most popular among the lot. It is not unusual to see badges of "what am i doing" in people's blogs or social networking pages. I've been on Twitter for almost a year now and I've learned a lot of things through it (and not just the sosyalan kind). Just last month, I followed real-time updates of Apple's WDDC where the iPhone 3G was unveiled. I also learned about Pacquiao's recent win to Diaz by following Inquirer's Pacquiao Files in Twitter. Politicians are also using it to give updates on their campaigns like what John Edwards did before (but he abandoned it after 18 updates). There are several personalities and pop culture interest groups which give updates via Twitter. I suggest that you browse through the list for your fresh by-the-minute-update fix. Twitter will always be my first love despite its flakiness (downtime again?). I know that there are other sites like Jaiku and Pownce who are much better but as they say...original is always the BEST! Do you have an account? Add me up HERE! Plurk is just like Twitter and other micro-blogging sites but its more dynamic and addicting. It has a very nice timeline page where you can view and reply to your friends' updates anytime you want. It can actually be described as the new and improved Web 2.0 community chat room. One update of a friend can generate a threaded reply from one or all of his friends without creating a giant mess. It also allow users to post and share photos and videos which it automatically coverts into a thumbnail. One of the things that's making Plurk addicting (and competitive) are the KARMA it gives to certain activities. Profile updating, inviting of friends, updating of plurks, and replying to friends' plurks will give you points. But try not updating even for just a few hours and you will see those karma points slipping. Like Twitter, Plurk has also been a good source of information and updates for me. I learned about Ces Drillon's abduction a full 12 hours before ABS-CBN reported it because a Plurker from the South posted it. My officemates were all amazed where I got the "never-before-published" information. Want to know and get ahead? Try Plurk! Add me up here and let us plurk-plurk together! Promise, it's FUN! 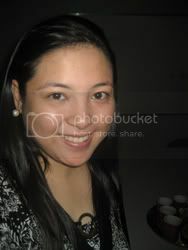 micro blogging is really addictive :D hehehe..
Iluv Plurk and Twitter! Hehe!